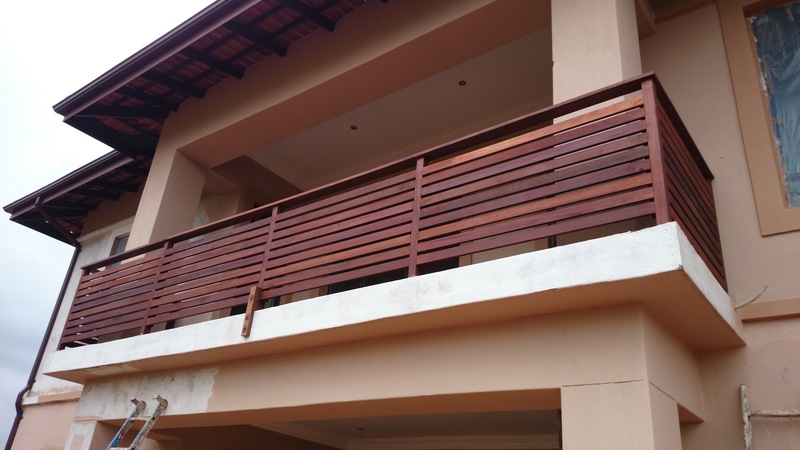 Wooden balustrades are necessary on all decks that are above 1m off the ground for safety reasons. Some people opt for them even if the deck is lower than 1m. They normally sit 1m above the deck surface but on decks which are higher than about 4m off the ground, it is recommended that one install a 1.2m high balustrade for safety reasons. There are various designs from a standard vertical picket style balustrade to a criss cross pattern to diagonal slats and even deck boards installed horizontally. One should consider the reason for installing a wooden balustrade and then decide which one to opt for. For instance a vertical picket style is safe for high decks as they can’t be easily climbed and all gaps between pickets are less than 100mm so small children can’t fall through. A criss cross balustrade has large openings and is not as safe. Most balustrades have a capping on top of about 30mm x 100m allowing for a comfortable arm rest and a spot to place a drink. Contact us if you’re planning on doing any wooden balustrade work on 031 – 762 1795 or use the form provided below. 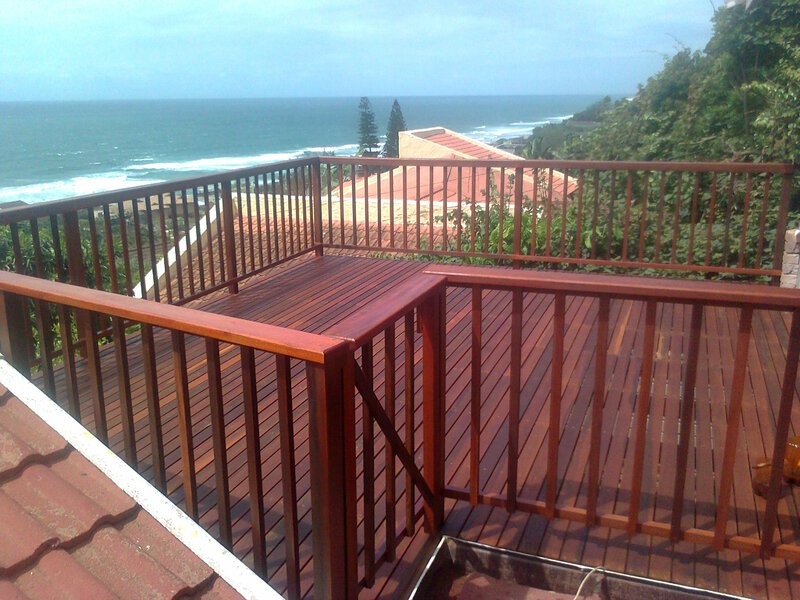 This entry was posted in Durban, Wire Rope Balulstrades, Wooden Balustrades and tagged balustrades, Bälau, capping, CCA Treated, Durban, kwa zulu natal, kzn, Pine, Screens, timber, vertical picket style, wood, wooden, wooden railing by Erin. Bookmark the permalink.